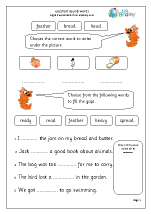 o words (short 'u' sound). 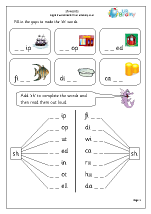 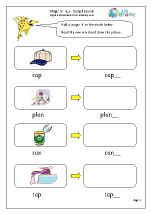 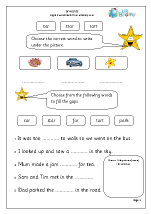 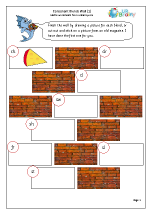 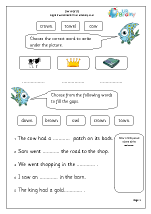 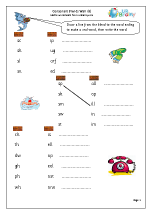 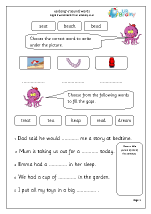 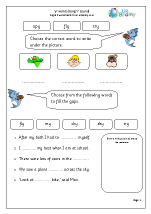 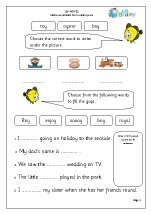 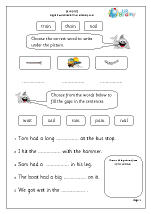 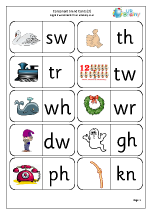 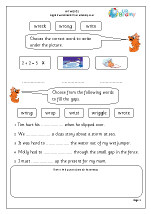 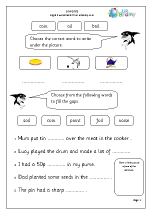 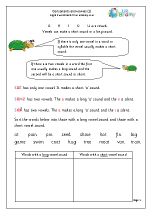 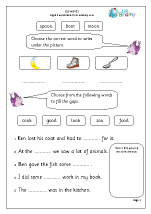 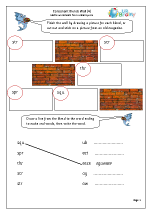 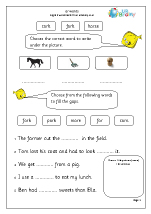 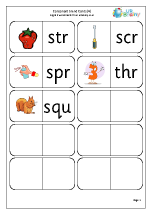 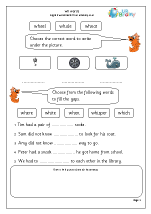 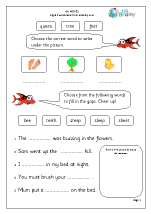 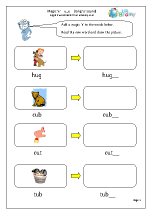 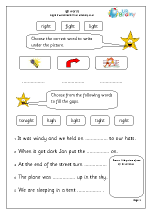 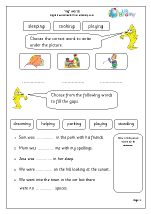 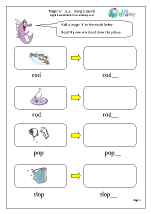 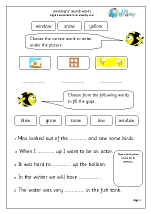 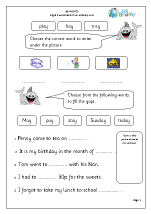 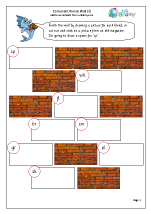 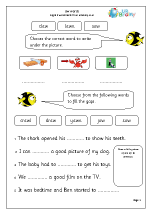 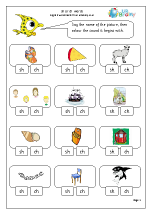 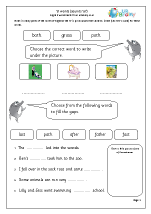 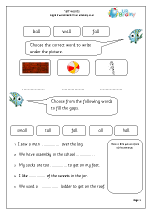 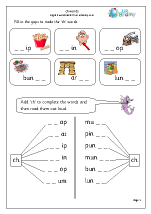 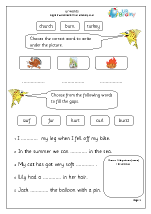 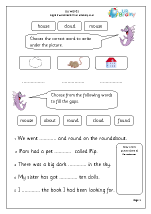 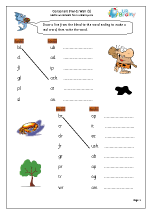 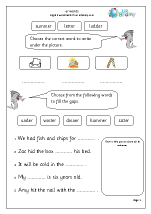 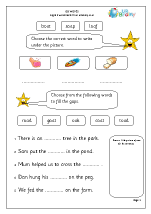 We have extended the range of superb English worksheets to cover some of the sounds used in reading and spelling for the lower primary age range. 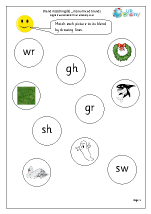 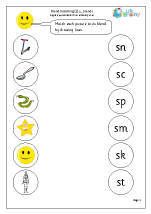 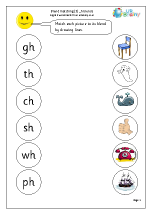 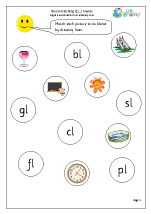 These sounds are represented by more than one letter and include ‘ai’, ‘ee’, ‘oa’, ‘oo’ and many others, as well as ‘ea’ (long ‘e’ sound in words such as ‘bead’) and ‘ea’ (short ‘e’ sound in words such as ‘head’). 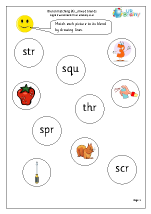 This would all be very easy for children if there was a perfect match between graphemes (letters written down) and phonemes (sound in a word) in the English language, but unfortunately this is not the case. 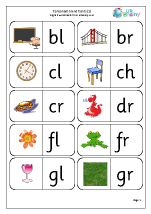 English is unlike most languages in that most sounds (phonemes) can be spelt in more than one way and most written sequences of letters (graphemes) can be sounded out loud differently. 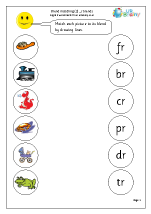 An example of the first is: the ‘e’ sound in red is also the same as the ‘ea’ sound in read (used in the past tense as in ‘I read a book yesterday.’). 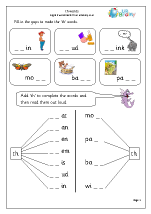 An example of the second is: the ‘ai’ sound which can be pronounced differently in ‘rain’ than in ‘said’. 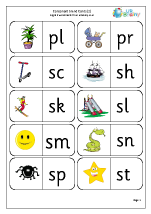 What all this means is that learning to read is tricky, but learning to spell usually lags behind the ability to read and much has to learned off by heart through constant practice. 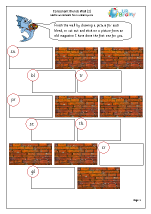 Use these pages as part of this extensive practice.